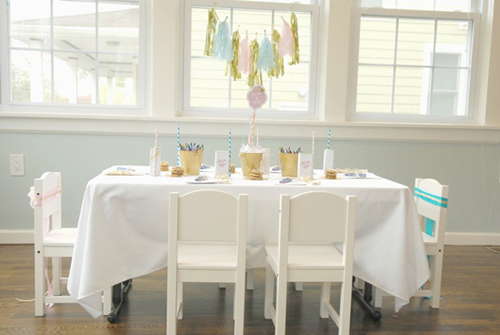 I absolutely adore this little party put together by Vanessa Grant Events. 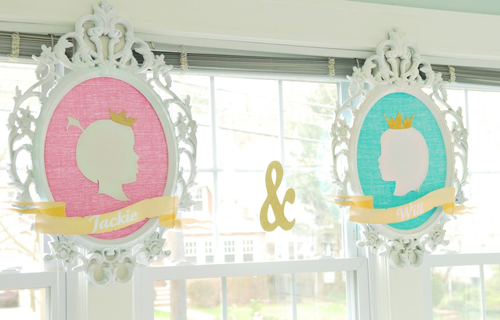 Vanessa was asked to create a Nursery Rhyme themed event for a boy and girl. She chose to do a play on the traditional characters of Jack and Jill modernizing it by using Jack (Jackie) and Will instead. 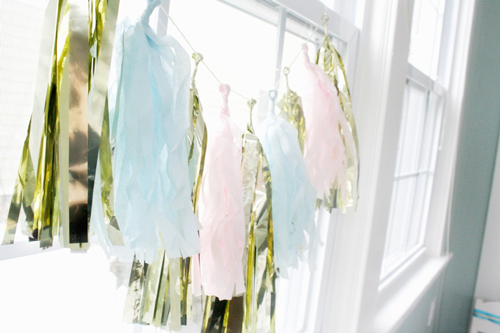 When she asked us to provide our tissue tassel garland we jumped at the chance! 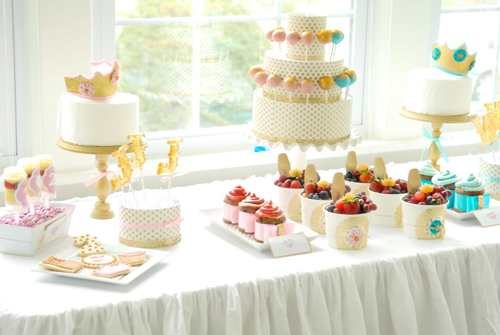 I love that Vanessa chose to provide lots of healthier options for her dessert table while still providing some requisite sugar and keeping the overall look absolutely stunning. So pretty! 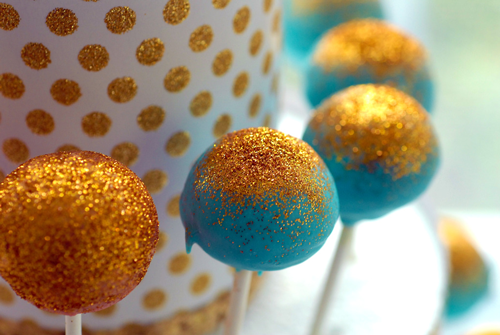 I’m dying over those lollipops! 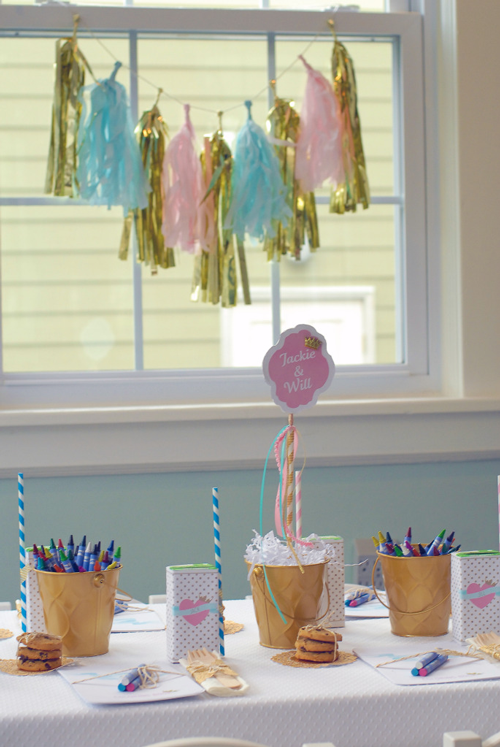 Our tassel garlands added some pizzazz to the windows and a little sparkle over the table. Every detail is exquisite including the activities and wrapped juice boxes. We were very happy to part of this beautiful party. The post Customer Party – Mother Goose Jack and Jill “Crown” Party appeared first on The Flair Exchange®.